The use of information technology (IT) in healthcare to improve outcomes is now a global phenomenon. If effectively implemented and efficiently leveraged, these technologies will greatly lower healthcare costs, improve safety, and elevate the quality of health. Nevertheless, health IT implementation and adoption continues to meet challenges. Reports show that physicians, nurses, and other healthcare professionals continue to resist health IT. Researchers have proposed models to explain this notion, and till date, there still is a lack of an overarching paradigm to view the concept. Resistance is a complex phenomenon that defies simple explanation and analysis. It requires well-accepted theories or paradigms encompassing the full range of variables associated with it. Understanding and mitigating user resistance is a great step toward improving sector-wide adoption. 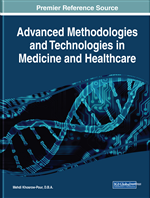 In this chapter, the authors survey extant theories of resistance and provide a paradigmatic lens for leveraging this knowledge to practical solutions in health IT adoption. The vision to use information technology (IT) in healthcare to improve outcomes has been adopted by many a nation, including, the United States. If effectively implemented and efficiently leveraged, these technologies will greatly lower healthcare costs, improve safety concerns, and elevate the quality of healthcare (Blumenthal & Tavenner, 2010). No doubt, several industrialized nations are making significant investments in healthcare costing a substantial portion of their national gross domestic product (OECD, 2011). Recently, these investments have been in the area of health IT. Socio-economic factors such as aging population, increasing need for better healthcare, and rising health care costs have pressured governments to consider controlling costs while improving care (Romanow, Cho, & Straub, 2012). Nevertheless, health IT implementation and adoption has met with its fair share of challenges. Reports show that physicians, nurses and other healthcare professionals continue to resist the use of technology within healthcare (Laumer et al., 2016; Dinev et al., 2016; Petrakaki et al., 2016). Researchers have proposed models to explain the how and why of user resistance to IT, and till date, there still is a lack of an overarching paradigm through which to examine this phenomenon. Hirschheim and Newman (1988) noted that resistance is a complex phenomenon which defies simple explanation and analysis; thereby requiring well-accepted theories or paradigms encompassing the full range of variables associated with an individual user’s resistance of IT (Martinko, Henry & Zmud, 1996). If not for anything else, governments and the healthcare sector need a return on investment on these systems that have been implemented. Understanding and mitigating user resistance is a clear step forward in improving sector-wide adoption. This paper surveys extant literature on resistance, synthesizes its theories, and provide a paradigmatic lens for leveraging this knowledge in the practice of healthcare IT implementation. It is hoped that this study will not only increase theory-based understanding of the subject, but that it will provide managerial guidance for change managers and project leaders who live the effects of user resistance in practice. The rest of this paper is structured thus: a methodological as well as contextual background of the paper is set forth, the theories of resistance are then synthesized and analyzed, and the implications of the study are discussed. In order to delimit the scope of this research, to synthesize and to analyze extant literature, we use Cooper’s (1988) taxonomy of literature reviews. This model (Cooper, 1988) proposes a taxonomy of reviews based on six categories, namely: the focus, goal, perspective, coverage, organization, and audience of the literature. Given the objective of this study, the literature was reviewed with varying emphases based on Cooper’s taxonomy. To achieve this, the review focused on different theories and models of resistance, and highlight the unique perspectives that these theories offer about the phenomenon. First, we discuss a contextual background in the United States healthcare reform that has triggered nation-wide organizational change leading to resistance.